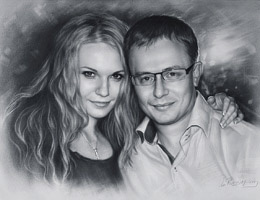 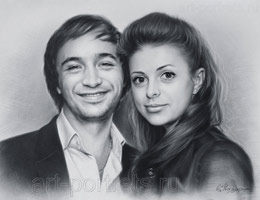 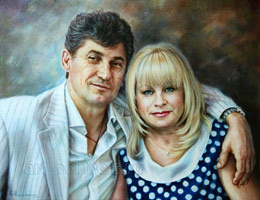 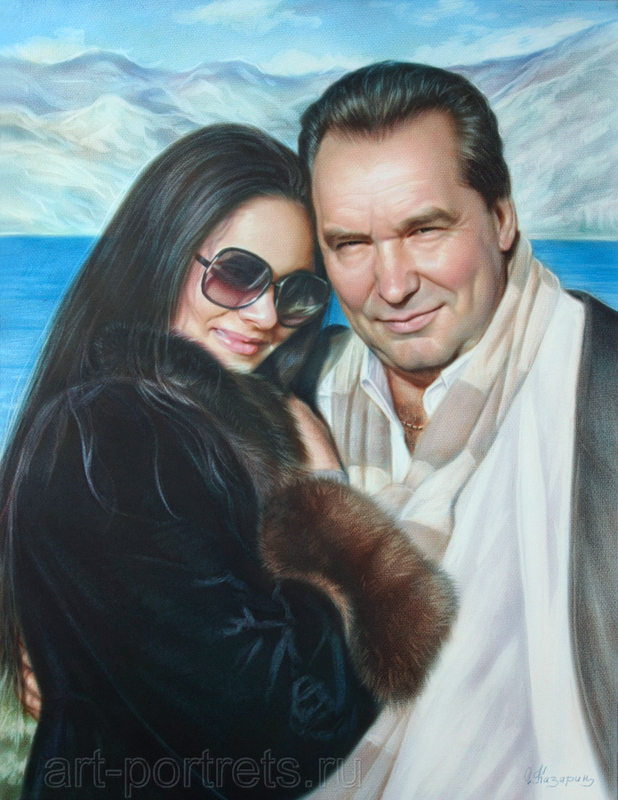 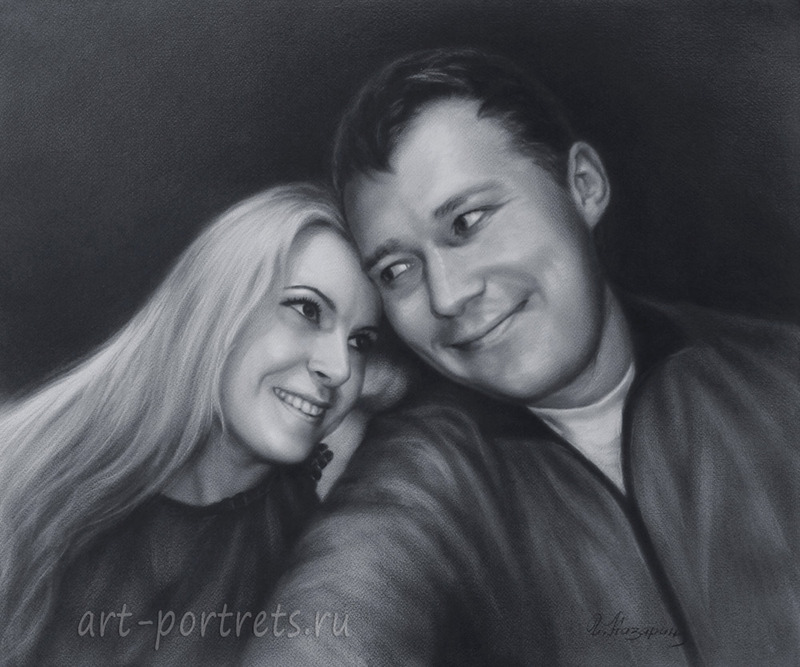 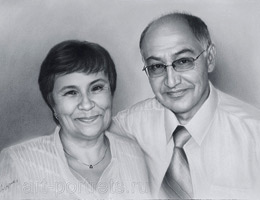 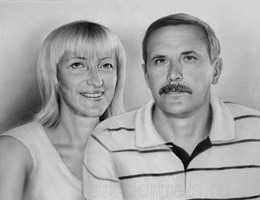 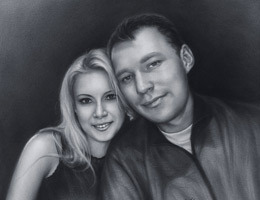 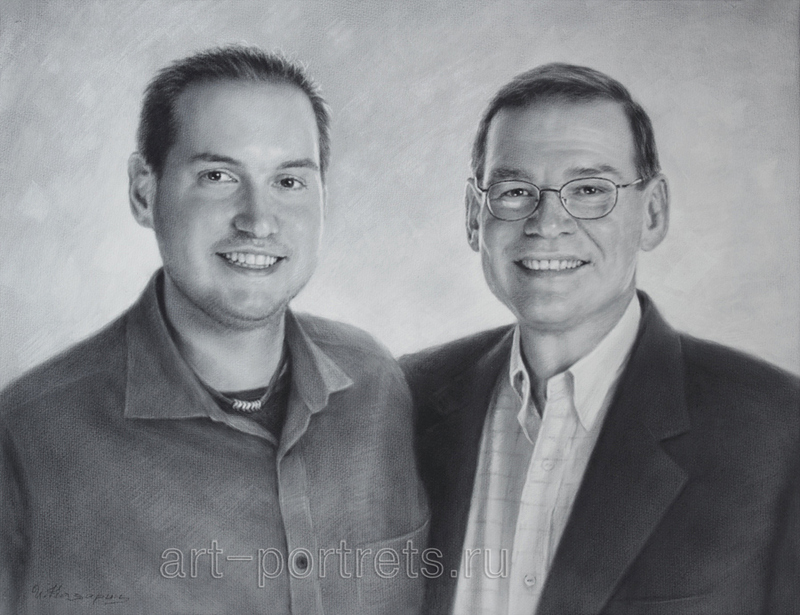 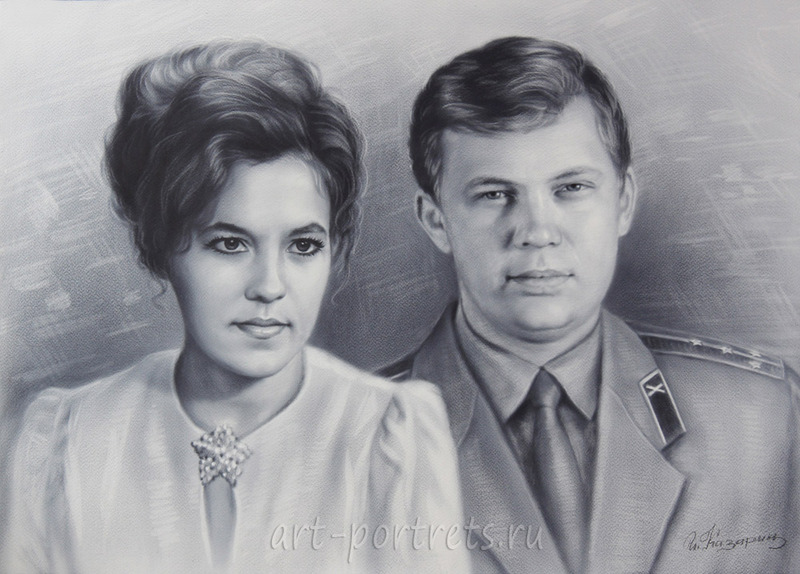 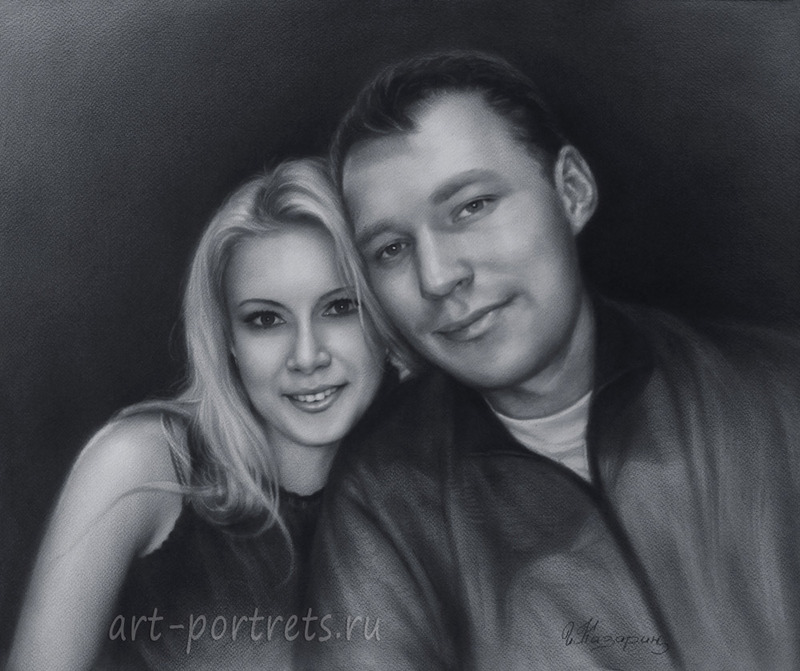 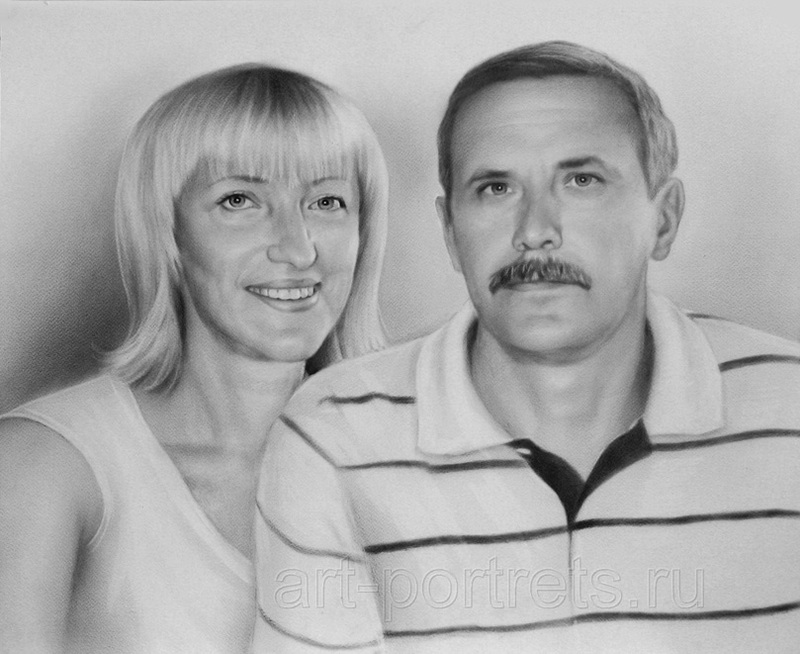 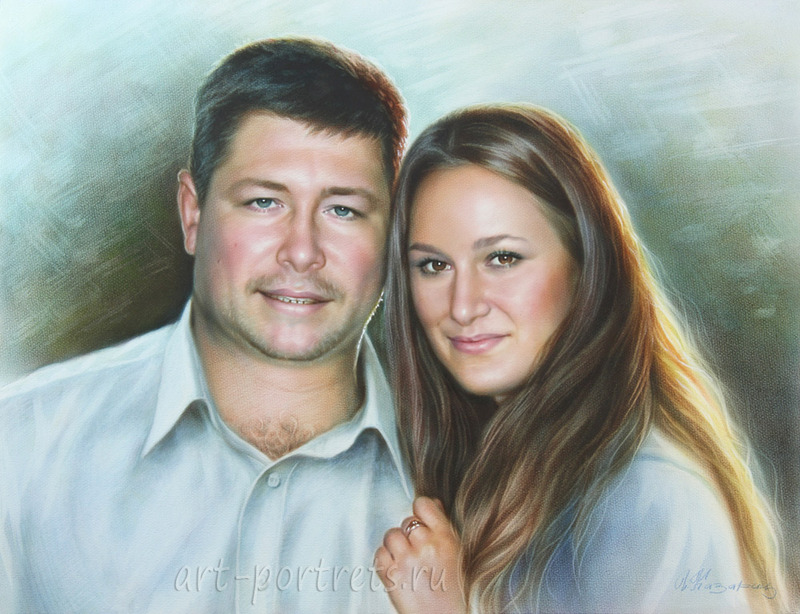 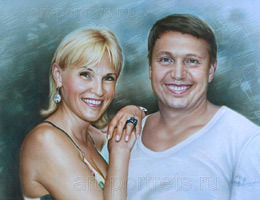 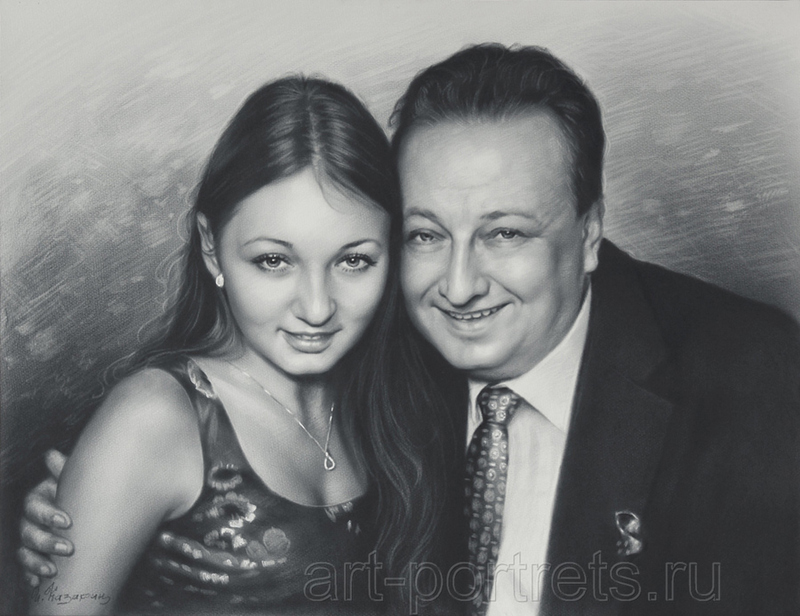 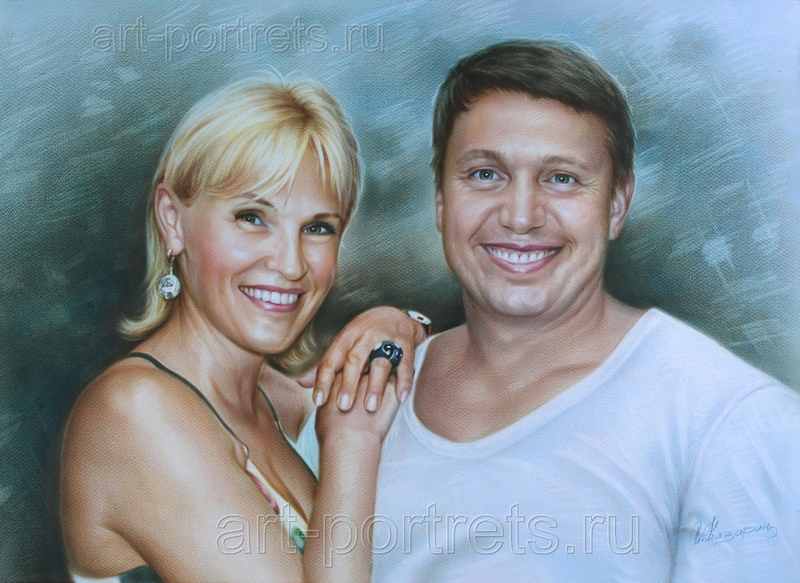 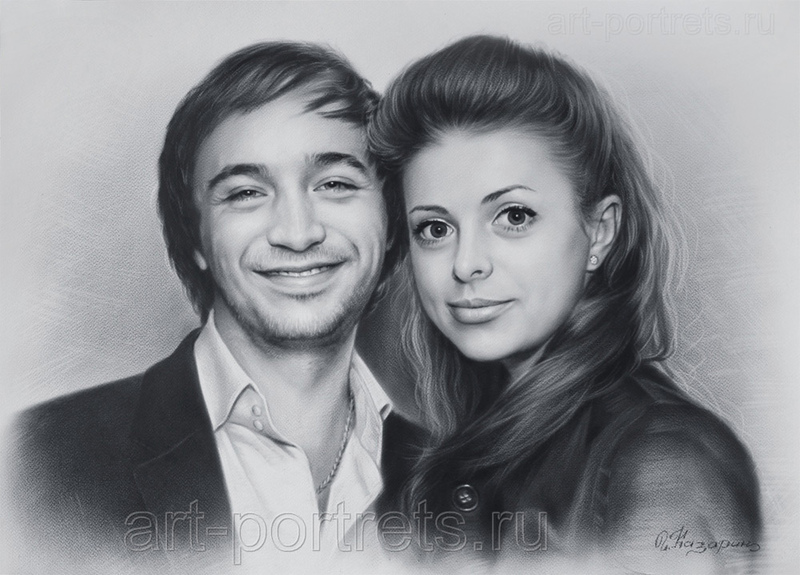 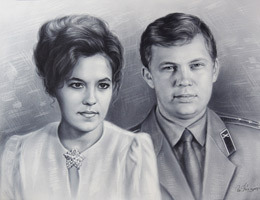 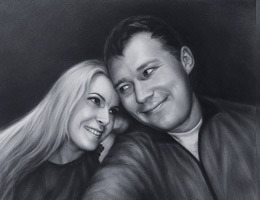 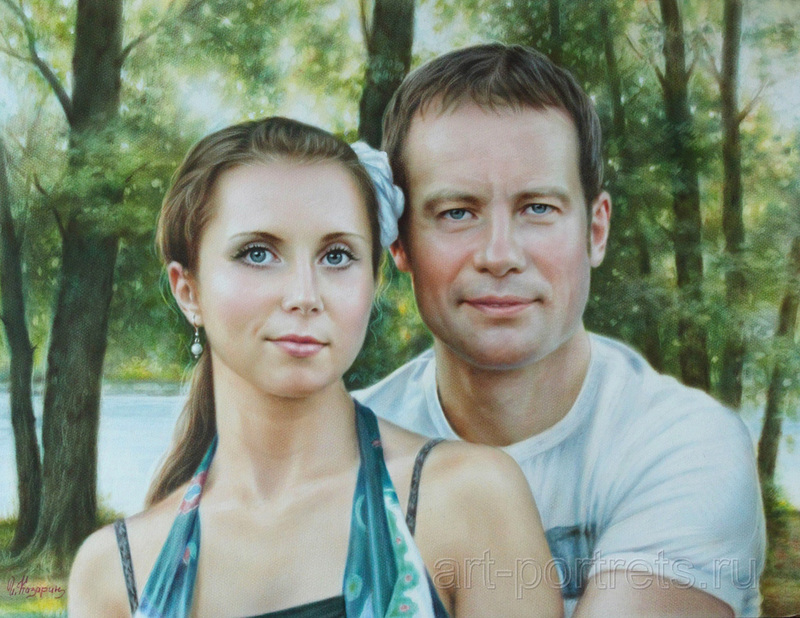 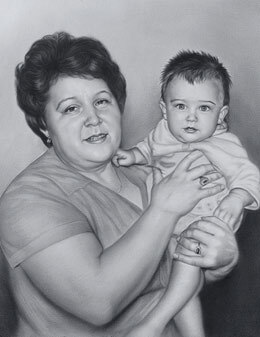 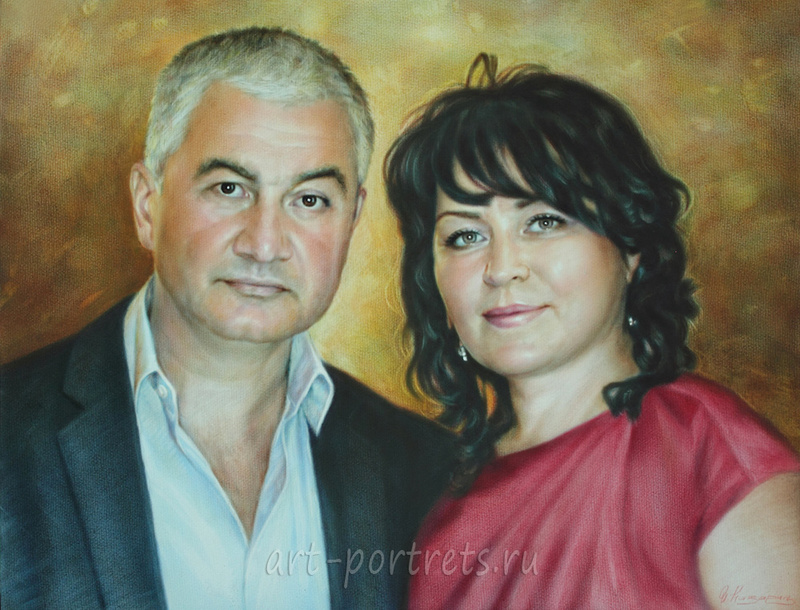 On this page, drawn black and white and color couple portraits in dry brush technique, the artist Igor Kazarin. 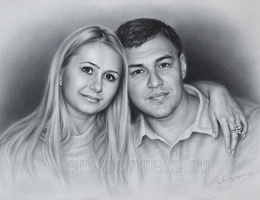 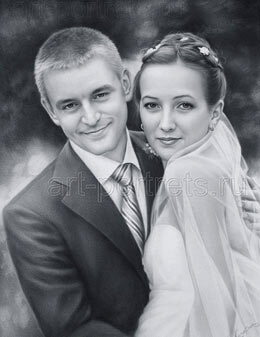 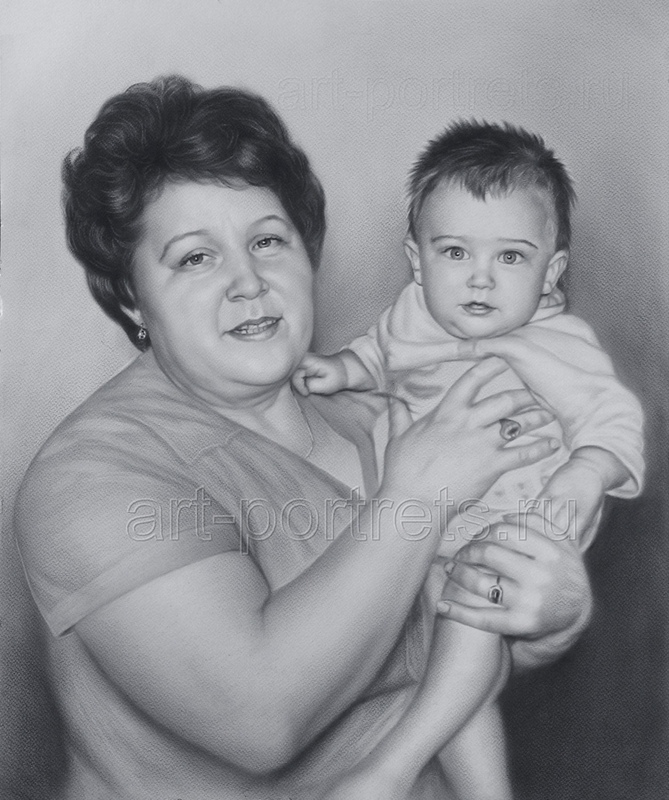 At your request, no matter what country you live, I can draw family or couple portrait from yours photos by dry brush. Portrait size should be no less and no more than 50 cm by 65 cm, this is my standard size. 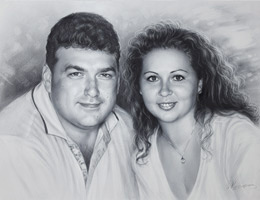 At this portrait size, human faces almost close to the natural. 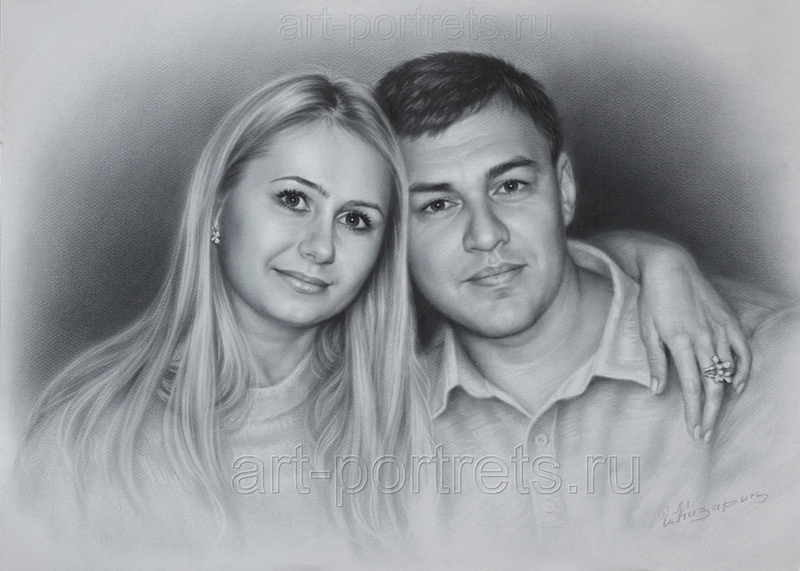 Drawing time take 5-6 days. 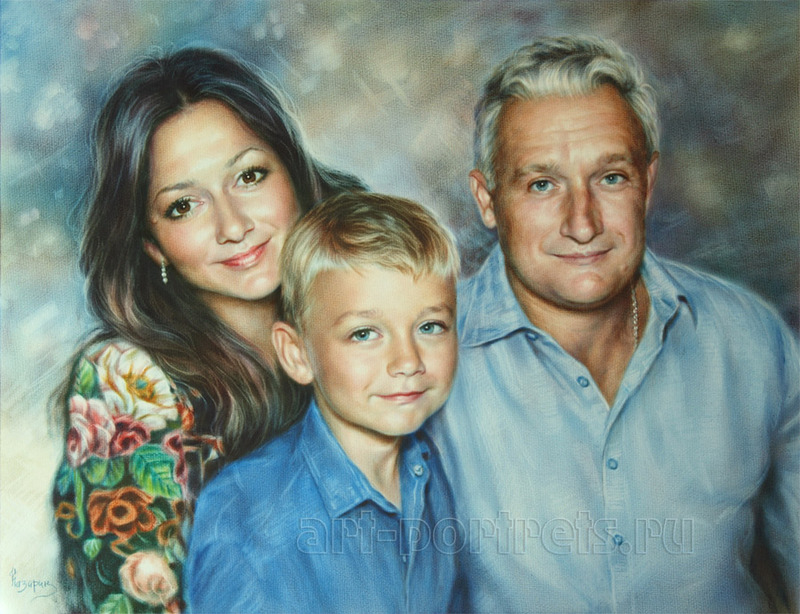 It happened from old times that the family portraits are usually give to various family gatherings, weddings and other celebrations. 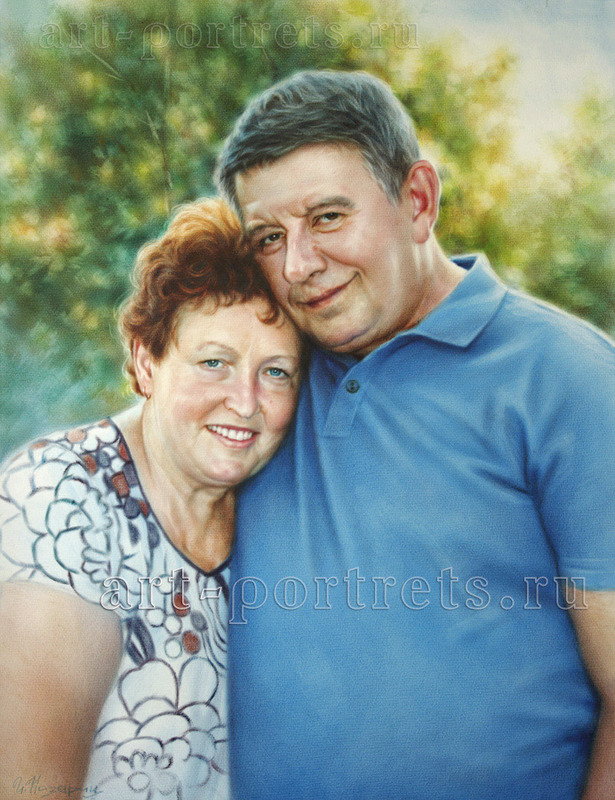 Comfortably placed on the wall, a couple portrait by Dry Drush Technique in any interior has always attracted the attention of all fascinating guests in your home, which is filled with warmth and understanding.